Now this… if this doesn’t stir something in your soul and get your foot tapping and your head bobbing, well friend, I feel sorry for you. I love this song’s unending groove and unrelenting joy. 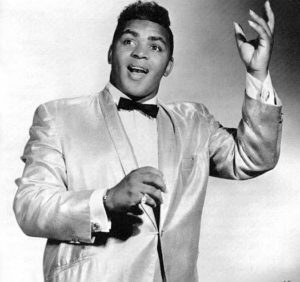 If you’re unfamiliar with Solomon Burke, take some time and dig into his catalog. He’s a pioneer of soul music but I never hear him getting his due, which is a shame. Later in this series there are some definite downer songs, so I wanted to get this one out early. This is your go-to pick-me-up and the antidote to any holiday season ills or stresses. Turn this up loud, smile wide, sing along, and dance your bah humbugs away.